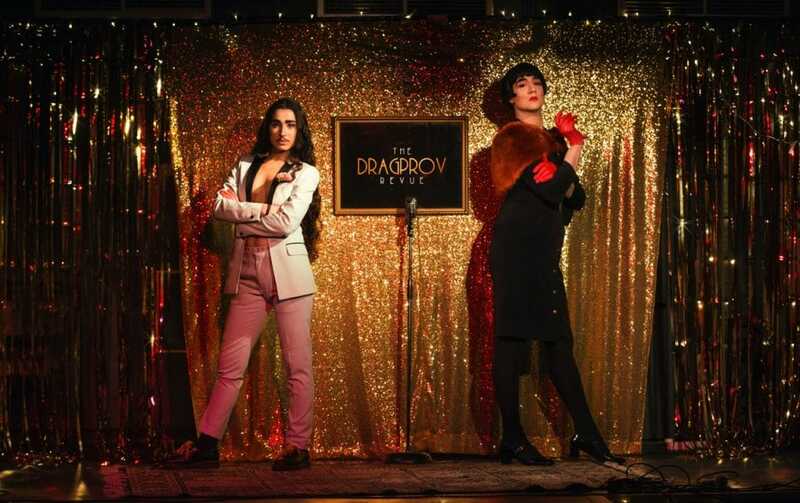 The Dragprov Revue – a title born out of the marrying together of drag and improv. 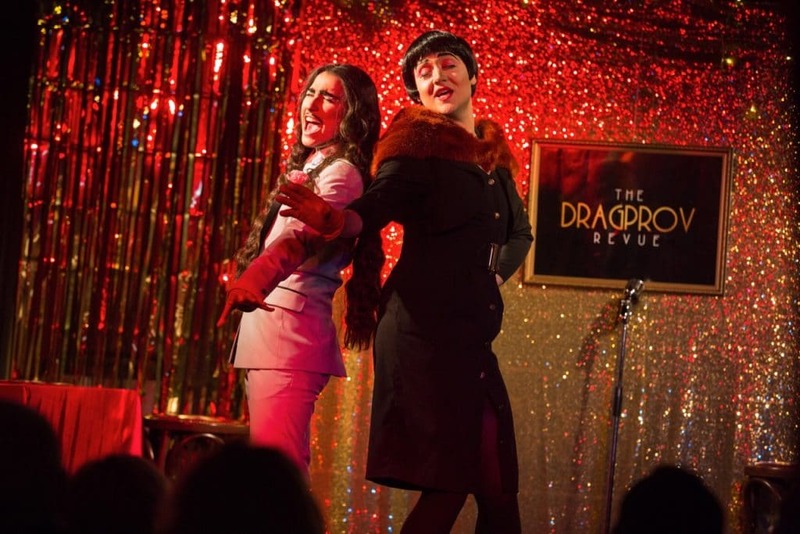 But in the case of this drag king/drag queen double act, the drag seems almost secondary. The gift Ed Scrivens (‘Eaton Messe’) and Francesca Forristal (‘Christian Adore’) have for improvisation is what carries the show – a talent made clear in March at Oxford’s Jericho Tavern, during a preview for their upcoming Edinburgh Fringe run. Scrivens and Forristal – expertly accompanied by pianist Joe Zacaroli – tell the story of their characters’ relationship, through sketches and songs informed by audience suggestions. Early on in the show an audience member is invited up on stage and quizzed about their life – and not in a way that embarrasses them. The performers then dedicate a song to said spectator, shaped by what they’ve learnt of them. For the gig this publication witnesses, lyrics surrounding the punter’s fondness of poetry are rapidly conjured up, in a segment that also establishes both Scrivens and Forristal as talented vocalists. We are treated to the tale of how the characters first met. For this Tavern show, a shout-out from the audience dictated that this meeting took place inside a human stomach. For this, Forristal stuck to the role of Adore whilst her partner portrayed the various parts of a person’s insides, simply differentiating between them through changing his position on the stage and giving each one distinctive character traits, much to the crowd’s pleasure. It’s heartening to see both Scrivens and Forristal genuinely laughing at what the other comes up with at times, adding a further reminder that what’s happening onstage can be as new to the performers as it is to the audience, during a show that truly has improvisation at its heart.